Garg Sports International (GSI) is known in the market for being extremely professional. We deliver what we promise. And we have delivered top notch quality sports goods to our esteemed clients. Garg Sports International did it again. We were able to manufacture high quality PVC football for Coca Cola. We have never shied away from challenges and this time when Coca Cola asked us to deliver a huge consignment of PVC football in a short span of time, we accepted the deal with open arms. Another challenge was that these PVC footballs had to hand-stitched. However, the skilled craftsmen at Garg Sports International were able to manufacture the footballs in time. Hand-stitched PVC footballs are durable and can be used to play on the ground. 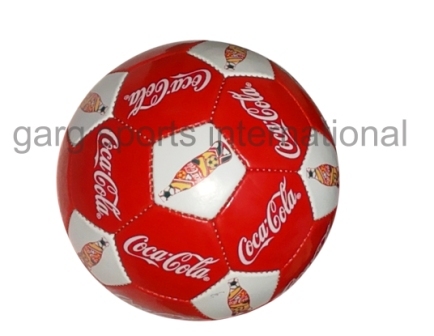 Garg Sports International manufactured these PVC footballs for brand promotion of Coca Cola. Generally, it is difficult to give a high-quality sports product in the promotional package, but Garg Sports International managed to give a high-quality PVC football at a very affordable price. Moreover, this product is absolutely playable on the ground. We at Garg Sports International believe in maintaining a balance between the costing and quality of the product. Garg Sports International offers many other sports goods like carom board, basket ball, goal posts and others. If you wish to have a promotional sports equipment with proper branding then touch base with us. You can visit our website, here. We offer a wide range of products for our clients and can customise them according to your branding needs. Don’t worry we take extreme care in keeping the brand element of our client intact on the product. Garg Sports International (GSI) pioneers in crafting high-quality sports goods for its clients. 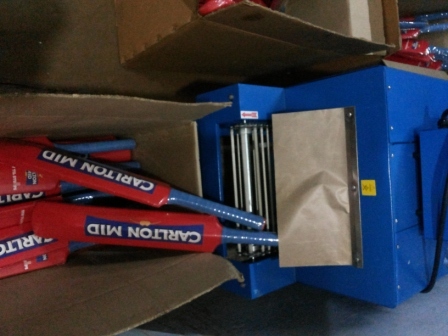 Recently, it manufactured beach cricket bat for Carlton. It was a promotional product and the branding was done accordingly. GSI takes great care in keeping the branding intact and in the same time manufacture a great product for the client. Beach cricket is a popular game in Australia, India and other countries for a long time. It can be called the sub-type of street cricket. This form of sport can be played with any number of people. You can have from 2 to as many as 20 people for beach cricket. For beach cricket, the players need a tennis ball. If the batsman hit the ball in the water can out or can be part of some really cool catches. Dive and splash. Australia defeated England in the Carlton Mid ODI series. England managed to put 269 on the board after losing 7 wickets in 50 overs. Australia was able to chase the target after losing 4 wickets. Professional beach cricket was also played in Australia. The XXXX Gold Beach Cricket Tri-Nations series is a beach cricket tournament sponsored by the beer brand XXXX. In September 27, 2006, the tournament was played for the first time. The first series was played between Australia, England and West Indies. The tournament was won by England who beat Australia in the grand final. In the 2008, the series returned and Australia, New Zealand and England competed. The game included eight overs in the innings and the final two overs were announced Captain’s Choice. You can touch base with Garg Sports International, here. We will get in touch with and we can take it forward from there. In a recent interview, Kobe Bryant happily answered queries about probable visit to India, his new line of shoes and his preference for old-school dunk rules. However, his happiness was not reflected on the injury updates. The Lakers guard informed before the All-Star game on Sunday that his recovery from the injury is coming slowly. “I’m optimistic coming out of the break that I will have some improvements once I get back to L.A. and do a couple [of] follow-ups and then go from there,” Bryant said. “But it’s been a slow process,” said Kobe Bryant, according to Los Angeles Times. It was the second time Kobe has been unable to play the game due to injuries. In 2010 as well, he had to sit on the bench. But, he is hopeful and assures that he will return.“I just need to keep my blinders on and just focus on getting better myself and going from there.” He also mentioned that he has doubts about his body giving out at the age of 35. “Of course. Absolutely.” “That’s part of the excitement of the challenge, that level of uncertainty. ‘Is this it’ sort of thing, are my best days behind me sort of thing. And to have those conversations with yourself and not be intimidated by that and not be succumbing to that is part of the challenge,” added Kobe. 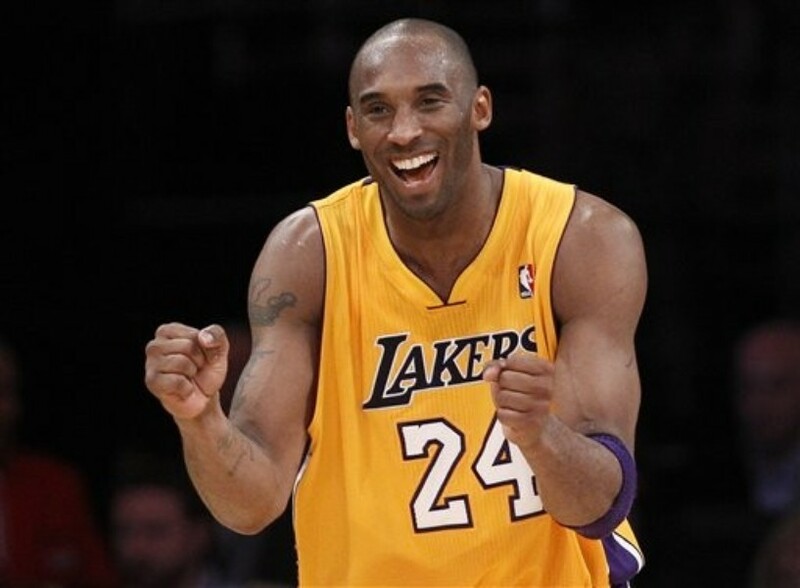 Kobe signed a two-year, $48.5 million extension in November and he is optimistic about the Lakers. “What we have coming up this off-season with the cap space and what we have ahead of ourselves seems to be right in the Lakers’ wheelhouse in terms of turning things around pretty quickly,” said Kobe. We wish Kobe Bryant to hit the court soon. Check out the basket ball nets at Garg Sports International, click here. Indian batting legends Sachin Tendulkar and Virendra Sehwag are nominated for the “ESPCcricinfo@20 Cricketer of the Generation Award.” The cricket news website also announced two more categories in the seventh leg of the annual awards. The two new special awards – Cricketer of the Generation and Contribution to Cricket will add to six other categories declared earlier. Apart from Sachin Tendulkar and Virendra Sehwag, Brian Lara of West Indies, Muttiah Muralitharan of Sri Lanka, Shane Warne of Australia and Jacques Kallis of South Africa are also on the list for the award. This is the 20th anniversary celebrations of ESPNcricinfo and a 50-member jury of current and ex-cricketers and renowned sportswriters will choose the best player of the last 20 years to honour with the prestigious award. The winner of the award will also get a brand new Renault automobile. The website declared last month the nominees for the annual ESPNcricinfo Awards, in association with Renault, which identify the best cricket performances in 2013. Former Indian captain Rahul Dravid will pick the winner of “Contribution to Cricket” Award. This award will take into consideration the pitch curators, groundsmen, umpires, organisers or anyone who has positively impacted cricket. “The Contribution to Cricket award was conceived to reward values that are pivotal to the sport – hard work, commitment, selflessness, fair play, and a dedication to the game. These are attributes embodied by many people across many aspects of the sport who are rarely – if ever – given credit for the amount they contribute to this great game,” said former Indian Captain Rahul Dravid. Garg Sports International wishes all the nominees, Best of Luck. May the best wins! You can browse through our sections and know more about the products we offer. Visit the website of Garg Sports International, here. In a latest comment from David Moyes, he completely rubbished the reports that Rio Ferdinand of Manchester United would quit at the end of the season. David angrily dismissed the reports that Rio will not be a part of the warm-weather training camp. Various newspapers reported on Tuesday that Rio Ferdinand would not be going to Dubai on Thursday and was ready to announce his retirement at the end of the season. “I can only tell you that what was written today was a load of rubbish, complete nonsense,” said David. “We’ve got a chance of a few days away. We’ll see. We’ll go and try to have a few days away and get ready. 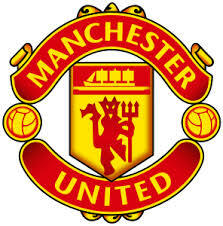 We’ve got a big Champions League game coming up in just over a week’s time,” added David. Manchester United heads to Middle East after a series of poor forms and the boss believes that the break would be helpful for the players. Meanwhile, Rio Ferdinand also tweeted about his alleged retirement news floating on major newspapers. “Must be another slow news day. come on Neil Custis get ya head out ya Y-fronts!.” Tweeted Rio. Ferdinand’s contract will expire at the end of the season. You can head to Garg Sports International and know more about the soccer products we have like goal posts, speed agility equipment, clothing, etc . Touch base with us and we can take forward from there. Microsoft’s New CEO Satya Nadella’s Secret to Management Success is Cricket! After completing his electrical engineering in India, he went to study in University of Wisconsin, Milwaukee for masters in computer science. From University of Chicago, he completed his MBA. However, cricket is the game that taught the management mantras and ways to run a company. “I think playing cricket taught me more about working in teams and leadership that has stayed with me throughout my career,” said Nadella. Satya Nadella loves the purest form of cricket – test cricket. “I love it,” said Nadella. Certainly, the game of cricket can teach the management people the art of handling the team, handling the pressure. Playing the game of cricket is like a training ground for corporate from where they can learn the trades of the corporate world. We at Garg Sports International feel great that Satya Nadella associate cricket with his management practices. GSI houses high quality cricket equipments for players. From batting gloves to cricket ball to bat and other cricket-related items, we manufacture the products using premium quality raw materials. If you wish know more about our cricket equipment section, click here. You can also contact us for information regarding the products, click here. Satya Nadella’s contribution in the field of IT would certainly make India proud and of course, he would continue to play cricket and learn management tactics on the field. Sports wrist bands are essential for any sports player. The wrist bands are not only great as a sweat absorbent but also an awesome marketing tool for a business house. Numerous corporate houses and companies consult sports companies for custom-made wrist bands. 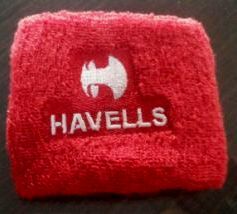 Havells, one of the premier electrical equipment companies in India, approached Garg Sports International (GSI) for these custom-made sports wrist band. An athlete knows the importance of wearing a wrist band as there are chances of slip ups during the game. Slip ups can spoil the game for the athlete. The sports wrist band helps to prevent and stop sweat from spoiling the game. From basketball players to tennis players, they all wear these sports wrist bands. The main aim of these bands is to catch the sweat before it reaches your hands. This way you as a player are much more effective on the field. For a basket ball player, it helps in getting better pass and also helps in making good shots. The wrist band also ensures that the ball doesn’t slip from the hands of the athlete while throwing or making a pass. Also, these wrist bands also known as sweat bands act as great marketing tool for the team or the company (in Havells case). Garg Sports International crafted custom-made wrist bands for Havells. The prime challenge was to create the unique logo of Havells on the wrist band. However, GSI took the challenge and created the wrist band i n the stipulated time-frame. GSI embroidered the Havells logo on the band. We used high-quality raw material to manufacture the bands. The sports wrist bands are washable and can be reused as many times you want. If you wish to have custom-made sports wrist bands for your company, touch base with Garg Sports International, here.